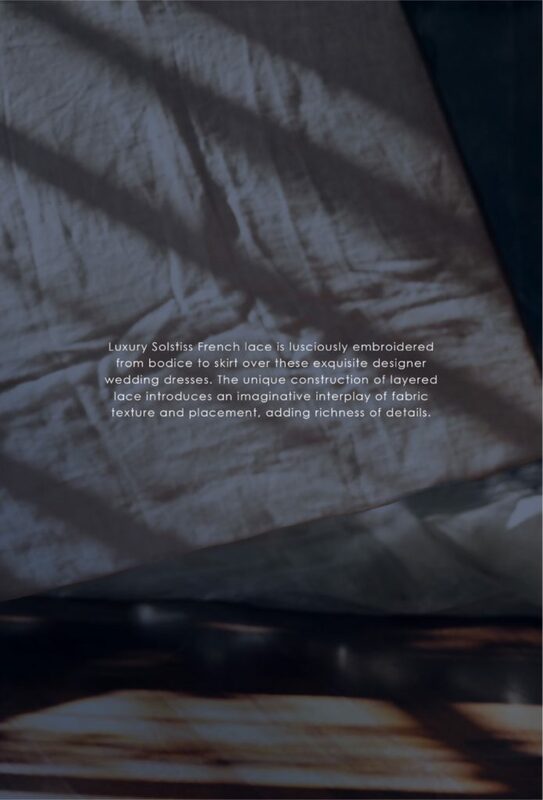 Known for its unparalleled craftsmanship, the intricate patterns of Solstiss lace breath sophistication. The expressive motifs and delicateness of Solstiss French lace enhance the refinement in our wedding dresses. 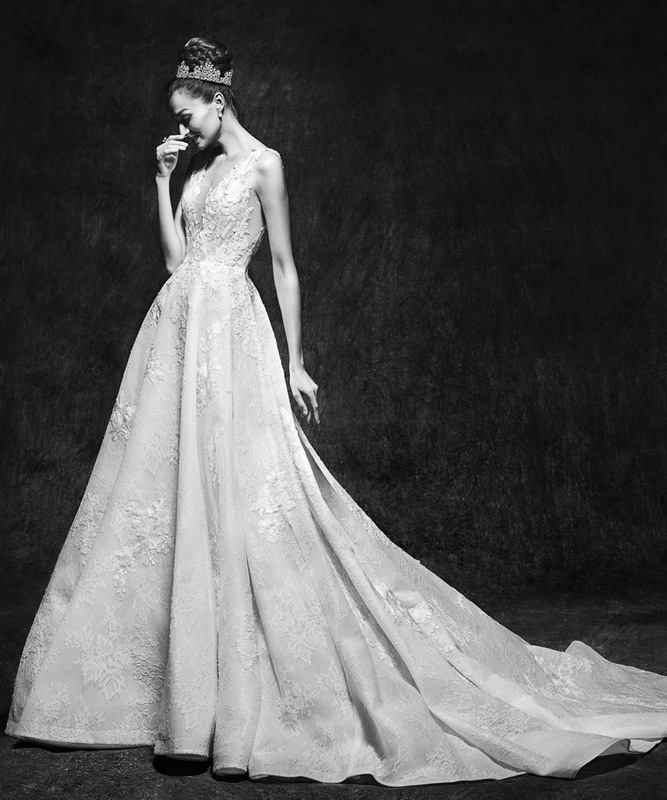 The meticulousness of the lace is shown in its impeccable details. Bearing a unique transparency, Solstiss French lace evokes pure romance. 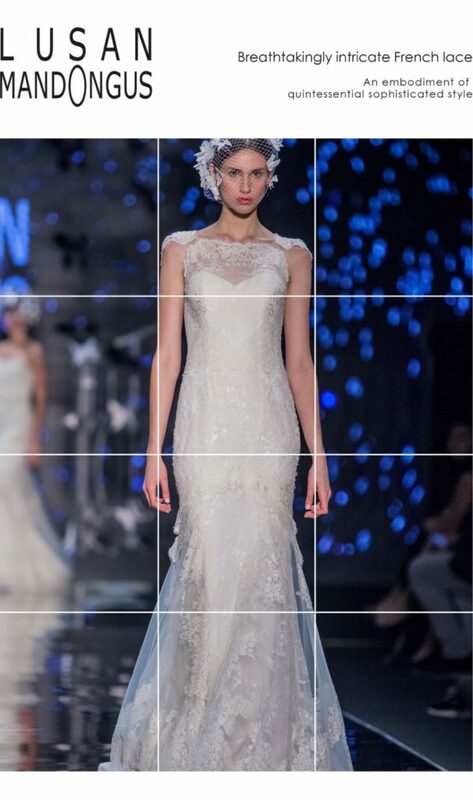 This luxury lace creates the lightness in our wedding dresses that can only be achieved with the finest textile. 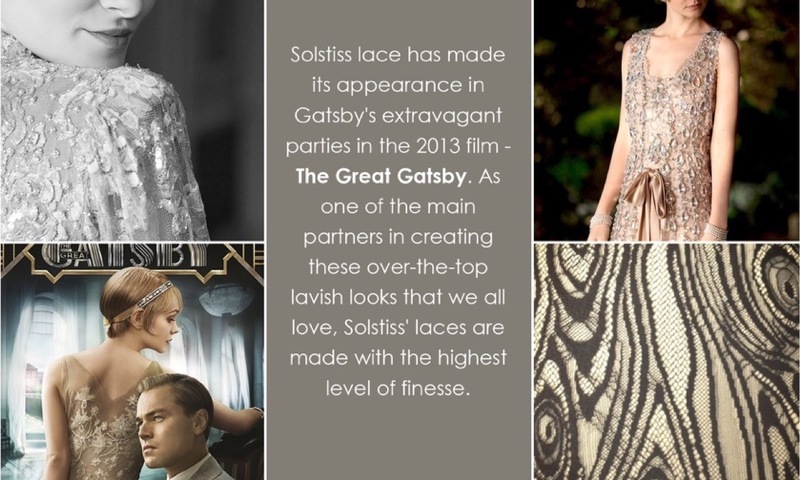 Solstiss lace has made its appearance in Gatsby's extravagant parties in the 2013 film - The Great Gatsby. As one of the main partners in creating these over-the-top lavish looks that we all love, Solstiss' laces are made with the highest level of finesse. Luxury Solstiss French lace is lusciously embroidered from bodice to skirt over these exquisite designer wedding dresses. The unique construction of layered lace introduces an imaginative interplay of fabric texture and placement, adding richness of details.